Pets Costs > Cat Breeds > How Much Does a Ragdoll Cat Cost? How Much Does a Ragdoll Cat Cost? The large and affectionate ragdoll cat is known to be one of the largest cat breeds available. Known to love cuddling time and lot of affection, the ragdoll is gentle, very relaxed and docial, making it a very sociable and lovable cat for any sized family. The cost of a ragdoll cat will depend on the age, quality, geographical location, colors and breeder. On average, the prices can be anywhere from as little as $400 to more than $1,200. Show cats that usually have its registration papers will be more than one that doesn’t. While rare, a ragdoll may be found a local shelter. If found, these cats will often be older and may have behavioral problems, but this isn’t always the case. Cat Breeds List says the average cost is about $800 to $1,000. What is going to be included in the adoption fee? Most reputable breeders should include a health certificate, a health guarantee, up to date vaccinations and a travel crate if shipped. Some breeders may also include the microchip, spay/neutering and a starter pack which may include food samples and coupons. 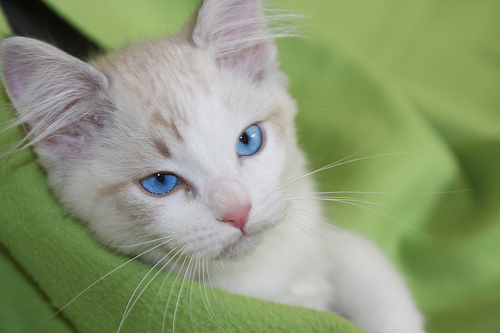 Breeders who sell ragdolls as a show cat will also include a DNA test, which can prove a negative result for Hypertrophic Cardiomyopathy, a common genetic heart condition found in this breed. Travel fees via an airline can cost anywhere from as little as $150 to more than $450, depending on the airline and the distance. Recurring fees for any cats such as the food, accessories, cat litter, toys and routine/surprise vet visits. Plan on budgeting at least $50 to $100 per month to keep your cat healthy. Its coat is known to be semi-long, silky and plush, and common colors found include blue, cream, red (also known as a flame point ragdoll), lilac and chocolate. While rare, some people are able to find orange ragdoll kittens. The average weight is 12 to 20 pounds, making it one of the largest cat breeds available for adoption. Females will often be smaller, weighing 12 to 15 pounds. Life span ranges from 12 to 17 years. These cats are known for their “go with the flow” attitudes with very little aggression shown. They are known to be very lovable, laid back and love to follow their owners around. Because of this, they get along well with strangers, children and other pets in the house. They can work well in virtually any environment, from a small apartment to a home on 20 acres. Most breeders won’t let the kittens go home until they are 12 to 16 weeks old. Due to the popularity of this breed, some breeders may have a waiting list, so it’s best to inquire early if you’re interested in the cat. Popular mixes include the Himalayan and Siamese. Check out a local Humane Society or a ragdoll rescue that specializes in this breed. While you may not be able to find a “ragdoll,” there may be a kitten up for adoption that could look similar. You should always consider adopting from a local shelter before considering a $1,200 cat for a breeder who’s in it for the money. Don’t let any breeder tell you otherwise. With overpopulated shelters, a small kitten can often be found for as little as $25.